Jiangsu Zhaolv Mental Products Co., Ltd. (Zhaoji Aluminum Mental Products Co., Ltd.) is a company specialized in producing industrial aluminum profiles and aluminum products, and it makes terminal customers as its major selling channel. With 10 years’ development, our company boasts many aluminum extruding production lines, with extruding setion10mm―400mm, two surface processing production lines: anode oxidation and surface painting, eight aluminum profile deep processing production lines, including cutting, drilling, wielding etc; and complete die design/ manufacture/maintenance assembly lines. 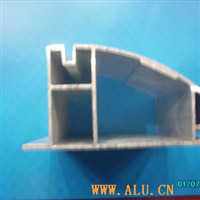 The aluminum furnace with its annual output 10000tons also provides enough raw materials for the company. With many years’ experience, our company has become a processing company which integrating smelting, die, extruding, surface-processing, deep-processing and fabricating. We have established long and stable cooperative relationship with many world top 500 companies. We are now famous in the areas of automobile, electronics, electric appliances, machinery, aviation, and light tools. Constantly improving our products’ quality and strengthening our service consciousness, we work under the purpose of “ people and customers oriented”. 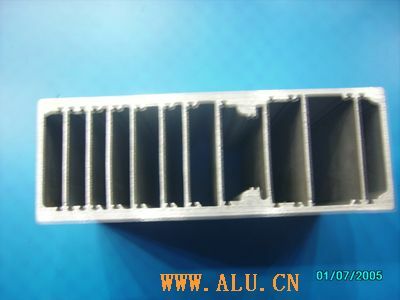 Furthermore, our company has a group of experienced experts in aluminum industry, who will offer you professional aluminum solutions before or after sale. With modernized managing system and method, we try our best to provide you with perfect products and service.